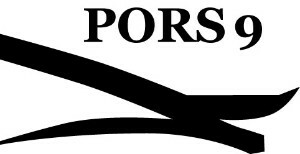 The PORS9 project has a lot planned for 2018. We will be launching a new vehicle registry application which will include automatic ‘client’ level registration and much more. Also the latest production counts on the 911R are in with 218 units for North America. Sign up as client to view all available data when doing vehicle searches – including Experian AutoCheck data. Or visit PORS9.com. Sneaking in before the holiday break was RM’s NY Icons auction held on December 6, 2017. We did not preview this auction but there were three Porsche vehicles of consequence on offer. The results were, well maybe, expected. 2015 918 Weissach – Matte over PTS Metallic Oryx White – 270 miles – original owner – estimate $1.7m – $1.9m – Sold @ $1,732,000 all in. This car features a CXX optioned Martini livery. See this vehicle’s details at this link. We think this car represents the top of the 918 market. 918’s no matter the spec have not been able to achieve much better than this failing to hit high estimates – and have not cracked $2m. With more 918’s hitting the market in 2018 as their 3 year VIP resale restriction expires – we dont expect prices to go up. 2004 Carrera GT – GT Silver Metallic – 695 miles – 2 owner – estimate $775k – $850k – No Sale. Carrera GT’s have come down in price by around 15% from the peak. And there were far more GT Silver Metallic cars built than any other color. Other than for a collector level example, such as the 2004 25 mile car at Pebble 2017, no non-PTS car has a chance at $850k right now. This pricing is at or above peak pricing. So not too surprising that it was a no sale if the seller was stuck on getting $775k. See this vehicle’s specs at this link. 1995 993 GT2 – Grand Prix White – 11,470km (maybe?) – Japan car – estimate $1.1m – $1.4m – No Sale. This was same car that was pulled from the RM auction at Pebble in 2017. A car from Japan (which always brings with it a questionable owner history, that’s just Japan), no real records (also typical for Japan), original km’s that cannot be fully verified due to a temporary speedo swap, and a few modifications from original spec. Any of these or all in combination could easily keep the car from breaking through the $1.1 low estimate. 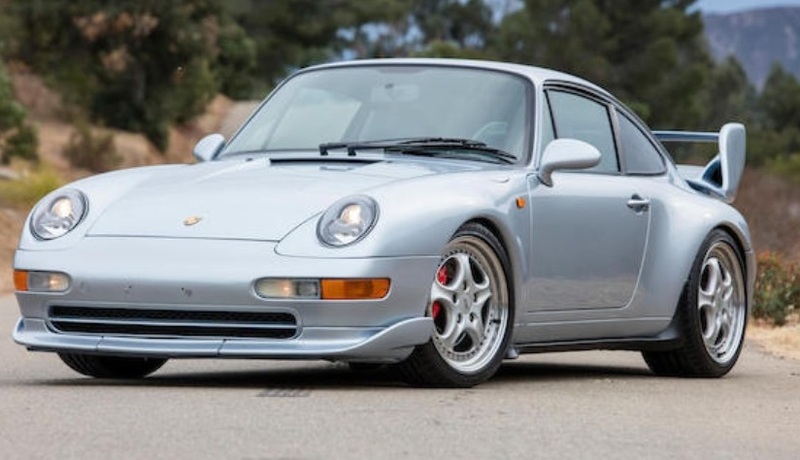 993 GT2’s Strassenversions may be hot cars right now … but. 2018 is here, stock market is up, and auctions are starting. Will big market gains pull up car prices from Pebble 2017? Auction houses and sellers hope so. Buyers are probably still thinking about getting a bargain or walking away. Let’s have a look at what is on offer In Scottsdale January 18 -20 … Let the Games Begin! Note: None of these cars are original EU delivery (other than the modified 959) so, even though the dollar is at a 3 year low to the euro, the ~20% import VAT will probably keep EU buyers away, but then again a low dollar may attract non-EU non-US buyers. EU buyers will have their chance at the upcoming Amelia Island auction where an over abundance of rare original EU delivery air cooled cars are to be offered – stay tuned for our Amelia preview coming in early March. Lot 11 – 2004 Carrera GT – GT Silver Metallic /Ascot- 2,900 miles – 2 owner – estimate $650k – $850k. GT Silver Metallic is not rare, original owner was comedian Tim Allen (meh) and Ascot is a matter of taste. The wide estimate spread feels like uncertainty in the pricing. We think this is could be a $650k car (even though its a 2004, but that’s another discussion)… it’s not an $850k car. See this vehicle’s details at this link. Lot 144 – 2011 GT3RS 3.8 – Grey Black – 2,690 miles – 3 owner – estimate $225k – $275k. FLASHBACK to Scottsdale 2017! This car sold for $214,500 then with same estimate and description (was stated at 2,900 miles in 2017 – but that’s surely an oversight) and photos … hmm? A second kick at the cat for the right buyer? Would be a nice car at the 2017 price. See this vehicle’s details at this link. Lot 149 – 2015 918 Spyder Base – Guards Red/Garnet – 73 miles – 1 owner – estimate $1.8m – $2m. The listing states – and the car is heavily marketed around – that the car is 1 of 1 Guards Red with Garnet interior, this is a misinformed statement. There are three in this color combination, this one (auction car) and this one and this one. If you like Guards Red, of which only 12 total were built for North America, its a very, very nice car. But the pricing is optimistic given the pricing history for 918’s and the fact that certainly many more are coming to market in 2018. We don’t see it cracking the $2m mark unless two bidders just have to have it. Note: PORS9 can locate the other two Guards Red/Garnet, for those interested contact us. Lot 153 – 1994 964 Turbo S Flachbau X83 – Polar Silver/ Black (they all are) – 35k KM – Japan car (they all are) – estimate $600k – $700k. These cars have always been under appreciated with only 10 built (one of which was destroyed in an accident). A unique combination of 930 slant nose and 3.6 Turbo. You love it or hate it. We looked at this car when it was for sale in Japan in 2016 (see photo). It’s the small wing version which is less rare than the 3.8 RS winged version – but that is a matter of taste. If its rarity and true uniqueness can finally be appreciated we may very well see this car crack the high estimate – which it deserves. Lot 155 – 1987 959 Komfort – Polar Silver Metallic/Black – 8,900 miles (14,323km) – Canepa import – estimate $1m – $1.25m. Any 959 can now be imported without modification. This car, an earlier import, has been fully federalized (read modified), several components have been updated (read modified), the variable suspension system was removed and spring updated to titanium units (although many, but seemingly not all, of the car’s original suspension components accompany the car), and an upgraded alternator was installed. Whatever else has been ‘Canepaized’ (e.g. wheels) we can’t say but we do believe with enough 959 Komforts built (estimated total ~294 units, not even Porsche knows for sure), non-original cars in the U.S. are long past being the only alternative and 100% original unmodified cars should command a tangible premium. 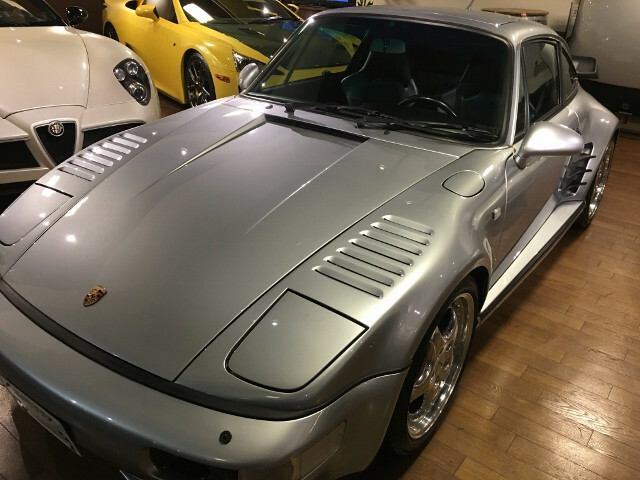 There are plenty of unmodified Silver 959’s available in Europe … one could argue it’s a $1m car, we’ll see. Note: CBA has on offer 1 of 29 959 Sport, and it is one of the best examples extant, contact us for more info. Lot 231 – 2011 Speedster – Carrara White – 980 miles – listed as 1 owner but is 2 owner per Experian AutoCheck – estimate $250k – $300k. This is a limited numbered edition car (356 built worldwide – 107 for North America) that may be getting more respect as it ages. These cars were stuck under $250k for a long time. But it seems that, although it’s a PDK only convertible, its becoming more collectible. We can see this car (even with the XM hump) with just 980 miles going at high estimate. See this vehicle’s details at this link. Lot 263 – 1996 993 RS 3.8 – Polar Silver Metallic – 10,629 km – Japan car (argh – with usual caveats) – estimate $425k – $450k. Once these cars were 21 years old, and therefore eligible for easy import under the show and display exemption without modification, the flood gates were open. Given how many were built (over 1,000 units), although its a great Porsche model, its hard to justify over paying for these. Buying a clean car from Europe is more justifiable. Although the estimates on this car make much more sense than those of Lot 15 at Bonhams (see below) we think this car has a very high probability of being a no sale. Note: The listing indicates that ‘The car was originally delivered to Japan, interestingly enough as a left-hand-drive example.’ however all special Porsches originally delivered to Japan in the 1990’s were LHD so it’s not that interesting. Lot 15 – 1996 993 RS 3.8 – Polar Silver Metallic – 67,297 km – Japan car (argh again) – estimate $375k – $475k. See RM Sotheby’s lot #263 immediately above. Unless the seller is too deep into it – this car will sell because the reserve will be lifted. 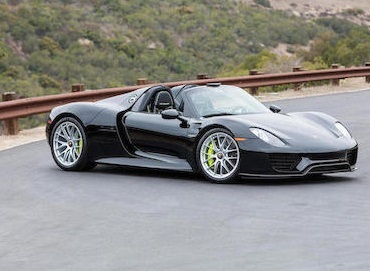 Lot 51- 2015 918 Spyder Base – Black – 2,278 miles – 1 owner – estimate $1.2m – $1.6m. Although Black is not the rarest color for a 918 Spyder of the 300 built for the U.S. (the listing erroneously states 294 built for the U.S.) this car may represent a fair value. Not-with-standing how many 918’s may hit the market is 2018, this car might hold up over time as a good buy at something not too far over the low estimate. 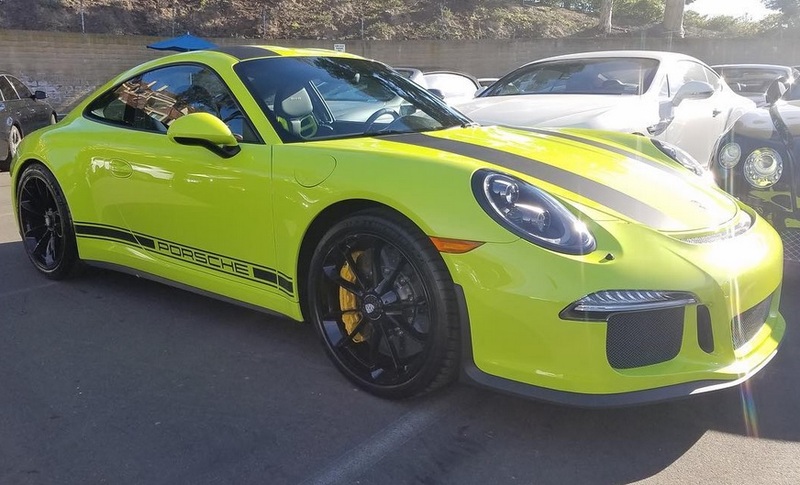 Miles are not low, but as a ‘driver’ the low estimate is not the premium to this car’s MSRP of $892,775 (a higher than average MSRP mostly due to the optional Magnesium wheels) that many 918’s are seeking. We can see this car selling at +/- $1.4m. See this vehicle’s details at this link. 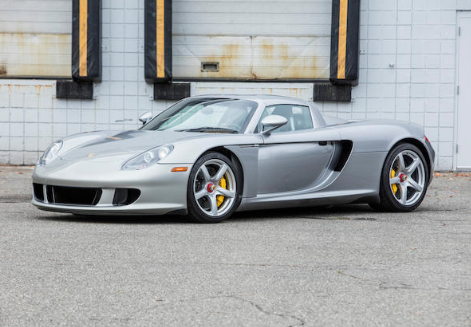 Lot 81 – 2005 Carrera GT – GT Silver Metallic/ Ascot – 904 miles – 1 owner – estimate $725k – $825k. As previously discussed the bloom is off the CGT’s price rose and with 363 GT Silver Metallic CGT’s built for North America alone, GT Silver Metallic is by far the most of any color. This car is just not unusual enough to justify the high estimate. That said, this example, a 2005 fwiw, looks like a nice 1 owner car that is fairly priced at low estimate. But that said, once you add the auctioneer’s commission that price starts to feel too high. We think low estimate or no sale. See this vehicle’s details at this link. Our proprietary database of 17,500+ VIN’s includes both owner and Experian AutoCheck data. Low transaction costs – no middlemen – transparent pricing – confidentiality and anonymity – all are hallmarks of the PORS9 program. Please visit our website to learn more! Copyright © 2018 Concours By Appointment LLC, All rights reserved. See our RarePorsches web sites!